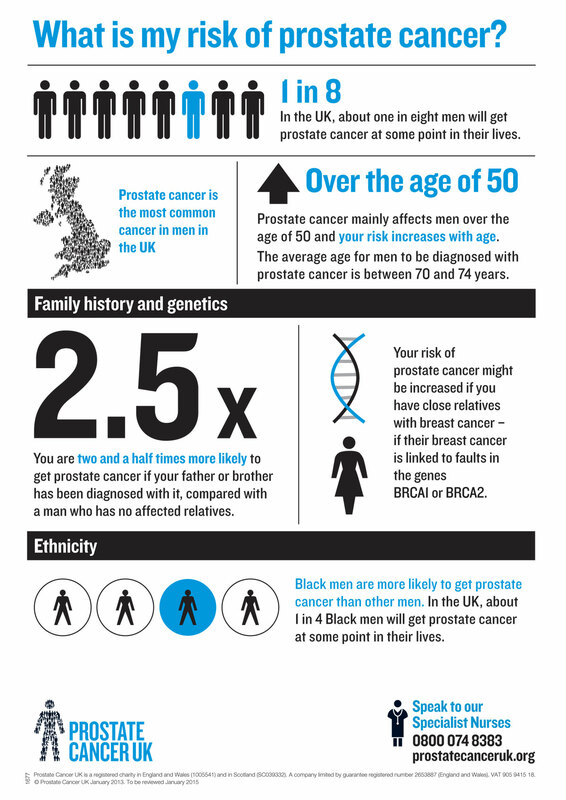 ‘What is my risk of prostate cancer’ is the first infographic Prostate Cancer UK has produced. I worked closely with the information team on the concept to make sure all the information and the way it was displayed is accurate and in no way misleading. 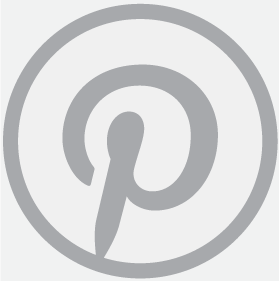 At the time it was published it was the most successful social media item Prostate Cancer UK has had, with engagement on twitter going up 7300% and it was the single most shared item on both twitter and facebook. 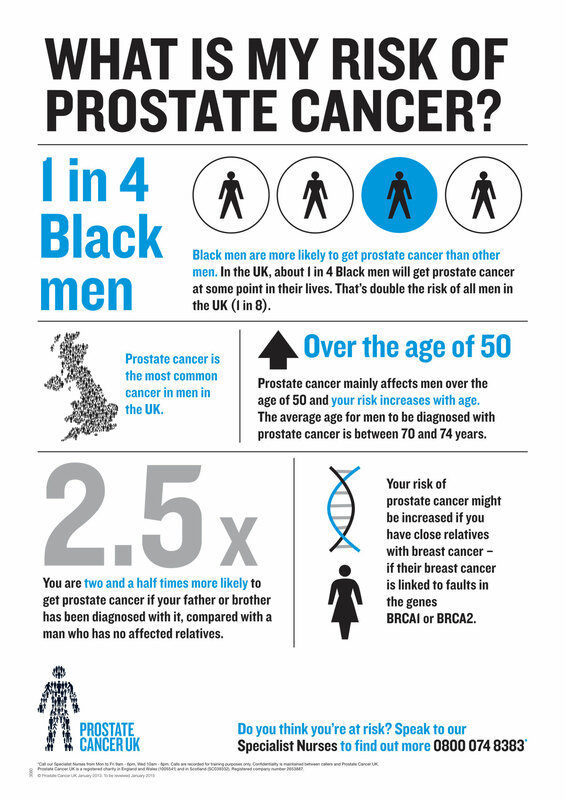 We continued to build on this later when the statistic about 1 in 4 Black men was published and the infographic was revised to include this. 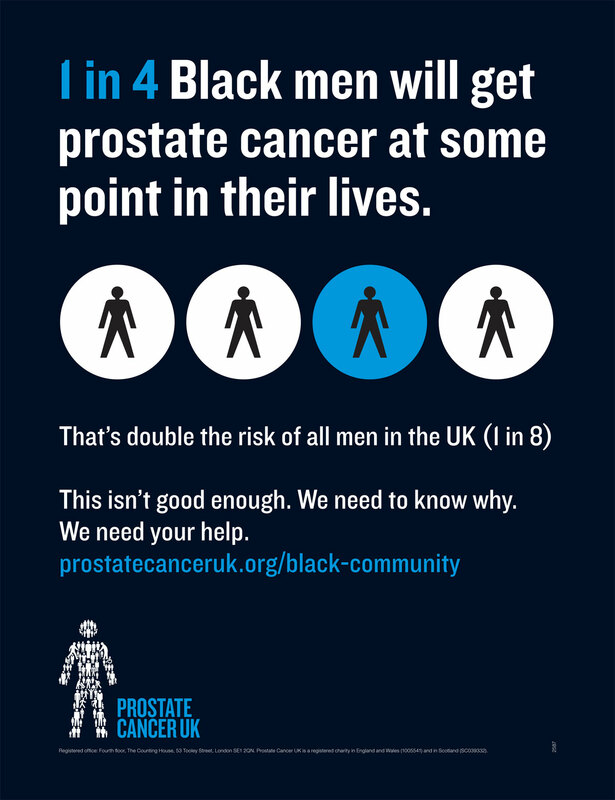 I’ve also designed a poster and ad with the main focus being that 1 in 4 Black men are at risk of getting prostate cancer.